Everyone occasionally needs a friend with a truck, but how do you find one quickly? That question was the inspiration for Shaun Savage’s year-old startup GoShare. 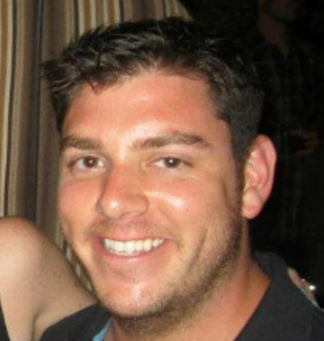 His team has developed a mobile app that connects people who have a pickup truck, van, or SUV with people nearby who need help moving, hauling, towing, shipping and delivering large items over short distances. 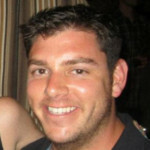 The company just graduated from the EvoNexus incubator downtown and is growing in the marketplace. Times of San Diego spoke with Savage about the business model. Why did you start GoShare? I started GoShare because I always need a truck once or twice a year and I was sick of renting them from truck rental companies. It is inconvenient and expensive. I saw an opportunity to leverage technology and the sharing economy to create a new service to solve a problem that I know a lot of people have. Everyone needs a friend with a truck sometimes. 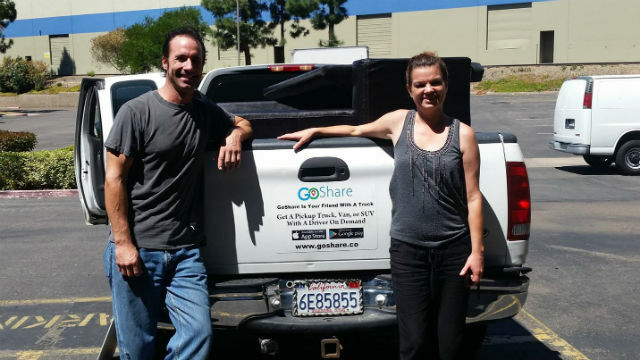 GoShare has been described as Lyft or Uber for trucks, but how does it differ? GoShare is different from Lyft/Uber in a few ways. First, we only transport cargo not people. Second, we give our customers the ability to book on demand or in advance. Also, we allow customers to book a driver on any platform including web or mobile. How easy has it been to find drivers? Finding drivers hasn’t been hard. Finding high quality drivers is harder. We have had more than 1,500 drivers from across the U.S. apply to drive for GoShare. We have not spent any money advertising to drivers. Drivers see GoShare as a great opportunity to earn extra money doing something that they love — driving their truck. We also give drivers the flexibility to work when they want. You offer specialized services like junk removal and IKEA delivery. What else is in the pipeline? GoShare is a versatile platform so the possibilities are nearly limitless. We can move, haul, or deliver anything that can fit into a pickup truck or cargo van. In the future we will add new vehicle types like box trucks and the ability to add multiple helpers for customers who need it. We are also exploring innovative ways to provide new transportation and moving services for businesses and consumers but the actual plans are top secret. What are your expansion plans beyond San Diego? We have been getting a lot of interest from cities in Texas, Florida, Illinois, New York and many more. We will expand one or two cities at a time until GoShare is available nationwide.